Purchasing a new vehicle is considered a bad investment. The reason being, the car will depreciate the moment you drive it off the lot. What won’t depreciate in value within literally 10 minutes of driving it, is a used vehicle. When buying used, you’ll get more bang for less buck. However, be cautious when buying a used vehicle. If you're considering a used car or truck purchase, you must look out for stolen vehicles or other fraudulent activity. Before you buy it, give the vehicle a background check. You can obtain a free VIN check to make sure the car has a clean record. 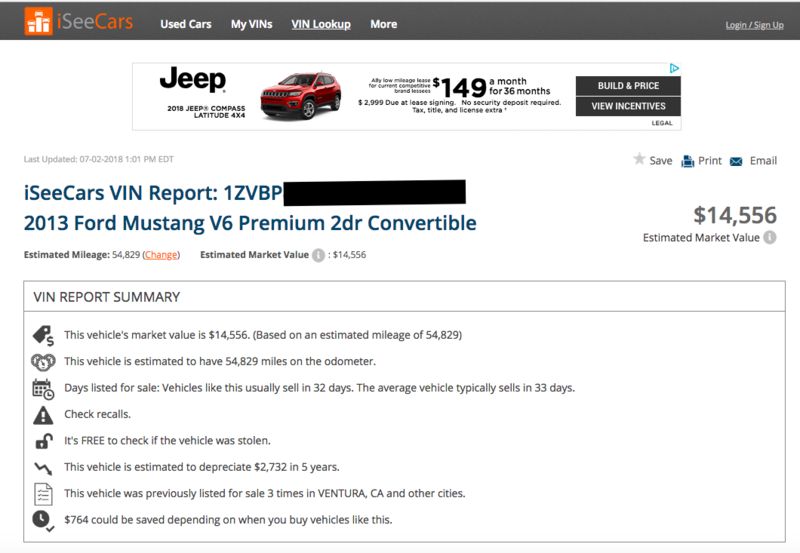 Alternatively, you could use a free VIN number check if you’re curious about your current ride’s vehicle history. You might want to know all the background deets, like where it rolled off the assembly line or any reported safety recalls by VIN. No matter the usage, a VIN number lookup can inform you about your car or even keep you out of jail. Free VIN lookup services are available all over the internet, but most so-called free services don’t provide any real useful information. They just try upselling you on a paid report. The best free VIN check providers list all the specs of the car and trim version, National Highway Traffic Safety Administration (NHTSA) recalls by VIN, pricing analysis and any accidents where an insurance claim has been made. We’ve scoured the Internet to find you the best VIN lookup services that will provide you with a free VIN check and a limited free Vehicle History Report (VHR). Below is our list of the top free services to learn about your car’s history. NCIB is the best way to check if a car is stolen for free. Not to be confused with NCIS: Miami, the NCIB is the National Crime Information Bureau. They maintain a stolen vehicle database and salvage record of cars reported as total loss by insurance companies. The VINCheck service is provided to the public to assist in determining if a vehicle has been reported as stolen and not recovered. Moreover, they will inform you if the car has been reported as a salvage vehicle. They do not provide a free vehicle history report, just a simple stolen car check, salvage, or total loss check. 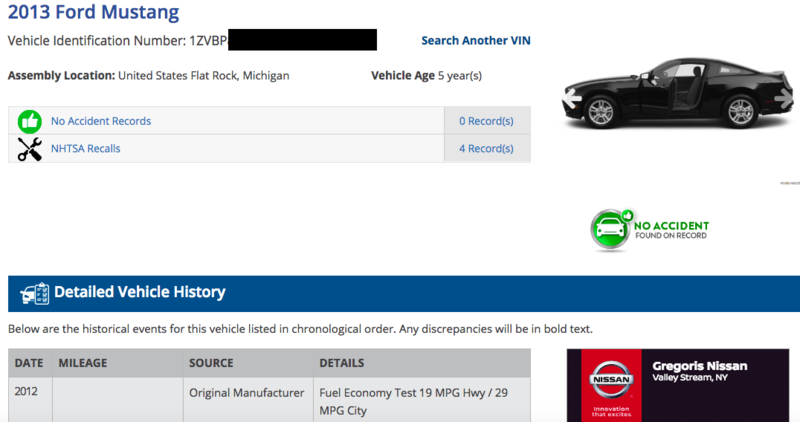 VehicleHistory.com provides a basic VIN number lookup report and very detailed car specs, such as front and rear leg room, shoulder room, and hip room measurements. When you use VehicleHistory, you’ll know everything you could ever possibly want to know about your vehicle… and more. It’s the History Channel of VIN lookups, minus the extensive alien documentaries. iSeeCars.com provides you with a basic VIN number check report, basic car specs, and a very detailed pricing analysis based on similar cars listed and sold on their site. One key feature of their free VIN number check is estimated value based on mileage, which you can change from the default estimated mileage. If you’re trying to sell or purchase, iSeeCars will give you the price breakdown according to your specific car condition. It might not be able to tell you if the car has been stolen, but it’ll keep you from getting ripped off! 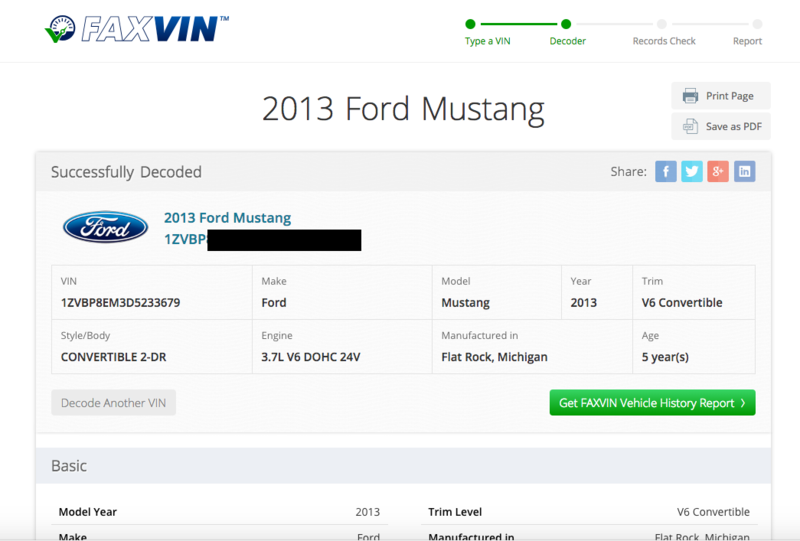 Faxvin.com gives you a basic VIN number search report with very detailed specs on every aspect of the car. Full vehicle history reports are available for a fee. FaxVin also includes information about all reported damages down to the car in the past. This service will tell you everything you need to know. Whether the car had a broken fender during a rear-ending accident or a broken heart during a relationship ending - FaxVin will give you the details, so long as it was reported to the insurance company.